The Quantum Instruments Turbo3 Battery Pack is a wireless, portable battery pack with ports for up to (2) CZ or CKE flash cables (choose your cable at checkout). It will also connect to the OM3 Flash and Video Ringflash directly using that item's power cables. 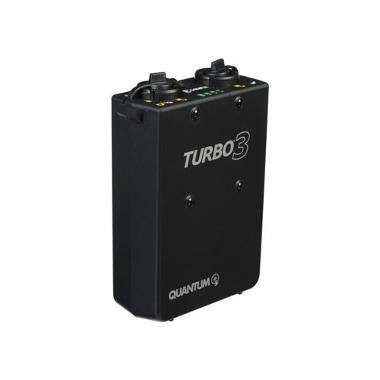 This relatively lightweight power pack is ideal for Nikon Speedlight and Canon Speedlite users as well as for QFlashes during events and outdoor shoots. Please Choose CZ Flash Cable for Canon Flashes or a CKE Flash Cable for Nikon Flashes at Checkout. 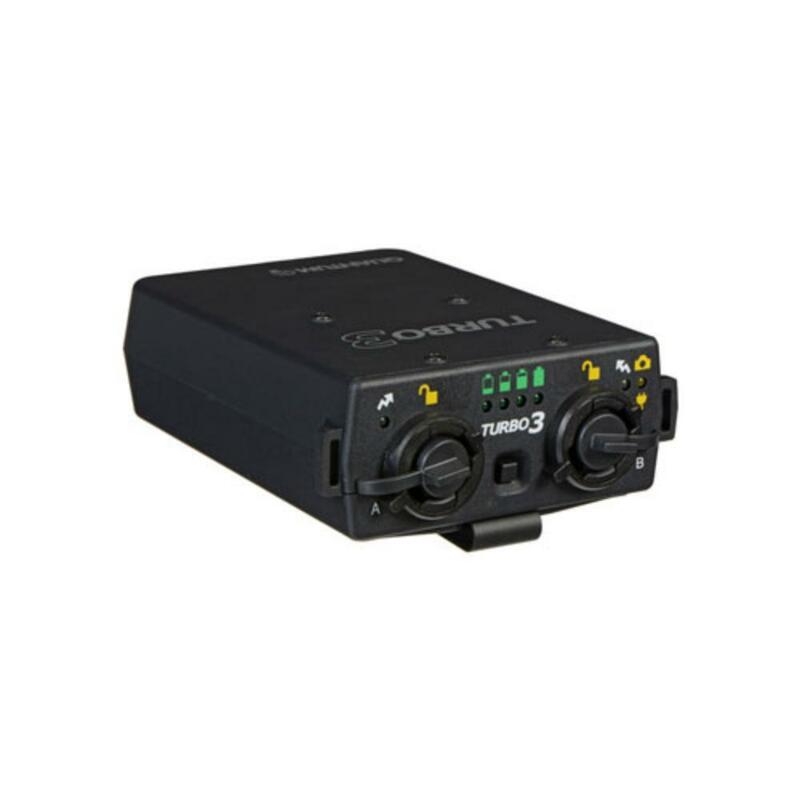 • This battery comes with either a CZ Flash Cable for Canon Flashes or a CKE Flash Cable for Nikon Flashes. Please specify which cable you need at checkout. You only receive (1) cable. If you need a 2nd cable, please rent one separately. You can also choose "No Cable" if you already have the cables you need.